With a wonderful plank top, and simple Shaker style, the Rustic Redmond Wellington Nightstand is the perfect compliment to your bedside. 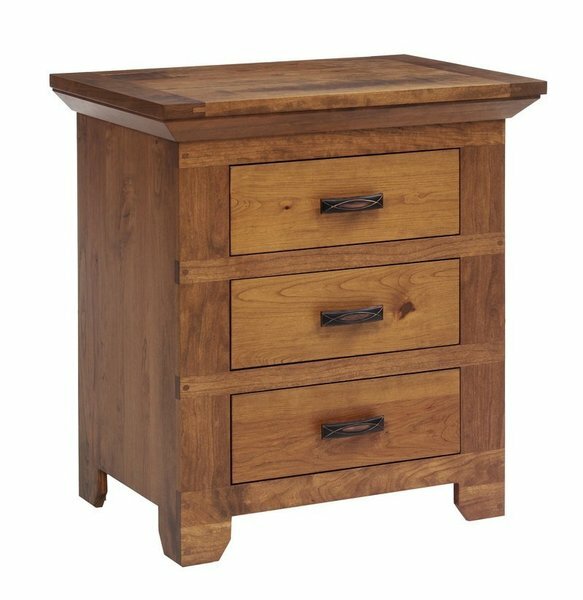 Crafted from solid hardwood, with three full-extension, flush mounted drawers, you can hold all of your bedside items right where you need them. Add our soft-close, under-mounted slides and never worry about accidentally slamming a drawer and waking your partner again. Our beautiful Redmond Wellington Nightstand is available in an array of hardwood and stain options and finished with a post-catalyzed conversion varnish, ensuring your new nightstand will compliment your decor and has the integrity to last generations.